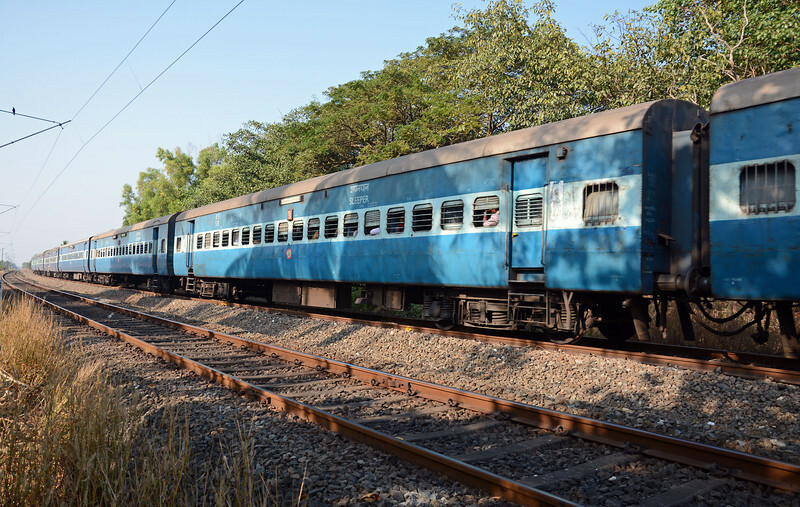 Sleeper cars, which are basically non-air conditioned second class couchettes, make up the majority of car types on Indian long distance trains. Electrification is underway on the railway south of Mangalore. A bee eater sits on the catenary support.